Opening reception: Saturday, November 7, 6-9 p.m.
EFA Project Space is pleased to present One Every Day, on view from November 5 through December 19, 2009. 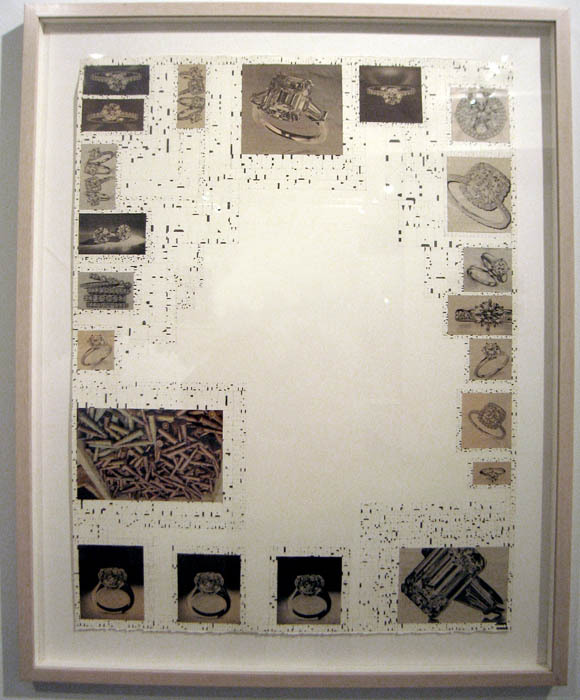 The exhibition foregrounds the relationship of printed ephemera to cultural and artistic production, and marks the curatorial debut for Printeresting.org. Launched in 2008, the founders of Printeresting.org aptly coined it “The Thinking Person’s Favorite Online Resource for Interesting Printmaking Miscellany.” Recognizing it as exactly that, EFA invited Printeresting to organize an exhibition that would open during New York City Print Week 2009, expanding the discourse about print beyond its fine art boundaries into the “every day”. From the detritus under the windshield and the debris in our pockets to gig posters mounted on telephone poles, One Every Day attests that all varieties of print ephemera share the following three characteristics: fleeting function, low-cost means of production, and the fact that somebody out there loves them. Some artists in the exhibition imitate and glean from existing printed matter, appropriating popular forms of communication to transform their meaning. Stephanie Syjuco’s Color Theory Communication Transference is a re-creation of a community board from People’s Park, Berkeley, CA. Using a process she calls “color averaging, ” the artist color codes the posts based on category, resulting in an isolated color coded object absent from the original content. Kate Bingaman-Burt’s foray into obsessive consumption involves drawing everything she buys, including the receipts and bills, all of which arethen compiled in the format of artists books. Wednesday, November 18, 6:30 - 8:00 pm Artists and Guests Talk. Friday, December 11, 6:00 - 9:30 pm DIY Craft Print and Multiple Swap.